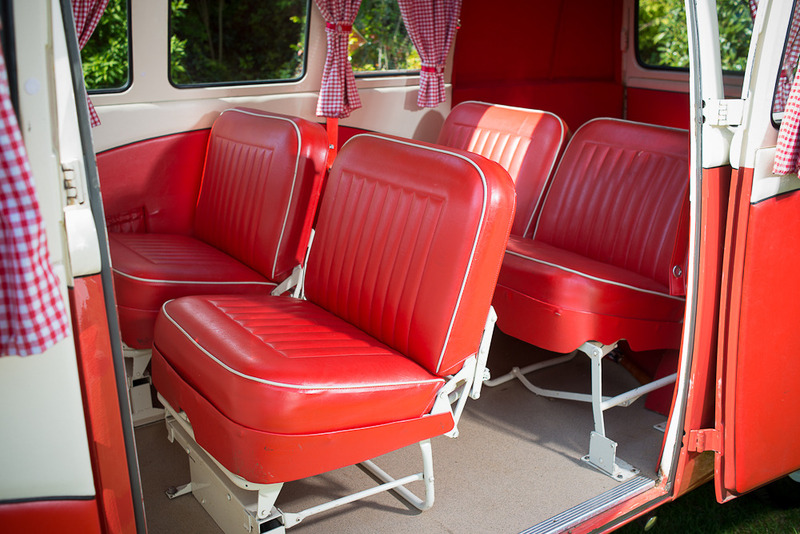 This 1964 VW Split Screen Dormobile was purchased by it’s current owner, Mr Malcolm Railson, in 2005 and she’s considered part of the family ( despite not being taken out too frequently these days). 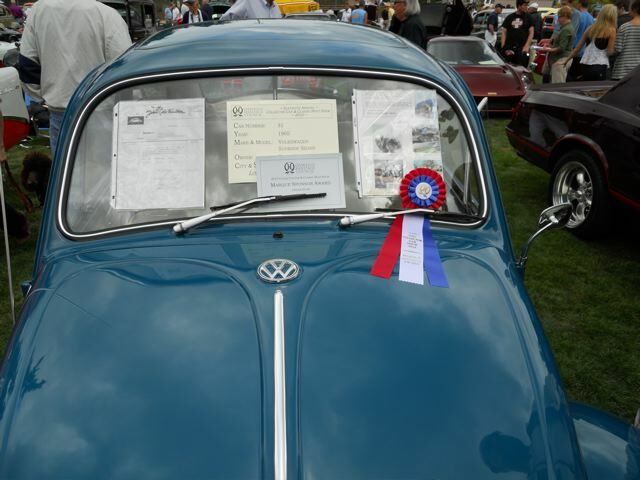 She won ‘Van Fest’ in 2004 and achieved ‘Best Original Split’ at the Christchurch Air-cooled Show. 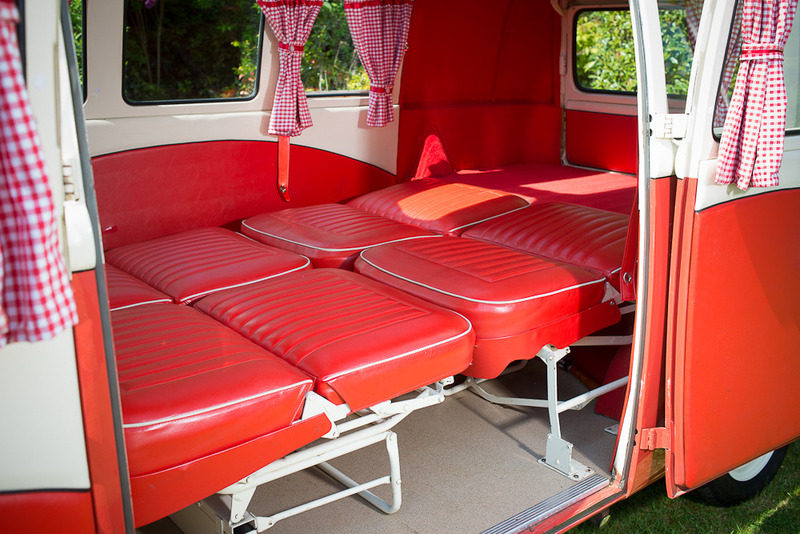 ‘Dormobile’ was the famous trading name of Martin Walter Ltd, who manufactured and fitted camper conversions on all sorts of vehicles, but notably 1960’s and 1970’s VW vans. The company, Martin Walter, was founded in 1773 and finally ceased trading as recently as 1994. They were one of the first to cotton on to the idea that a small commercial van could be easily converted for use as a camper. 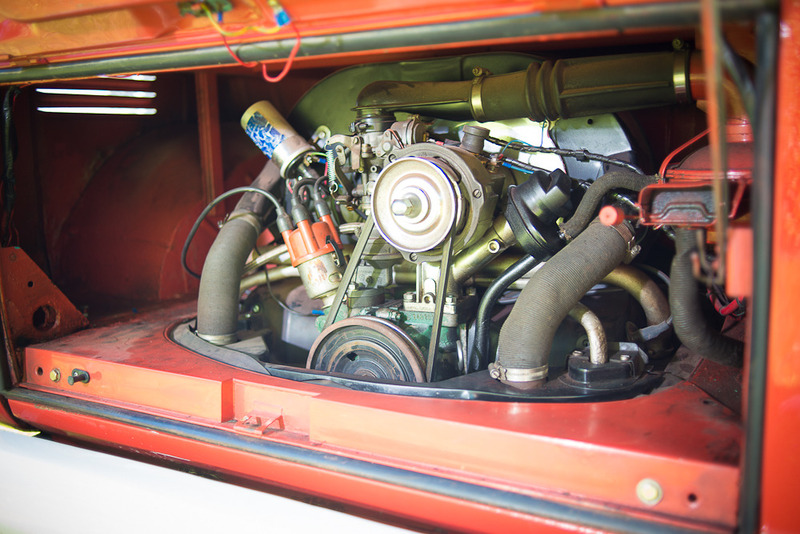 The first Dormobiles were based on early Bedford vans with factory conversions being carried out in the UK, but the company also sold kits under license to other countries and the VW Camper evolved as one of the most popular models. 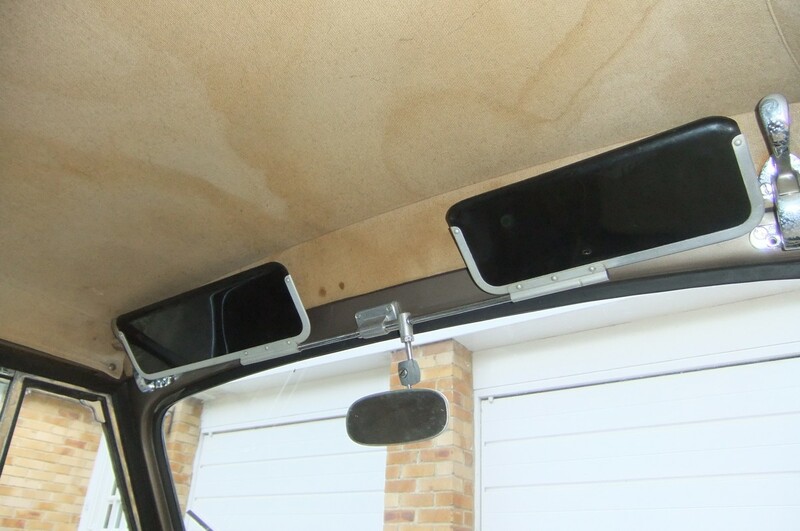 One of the main visual differences that can be used to recognise a Dormobile against another camper conversions is that the Dormobiles featured a side hinged folding roof as opposed to one that popped ‘straight up’. CarFest is the brainchild of DJ/Television presenter and all round car nut Chris Evans, who is working with 1979 Formula 1 World Champion, Jody Scheckter, to run an exciting classic car, live rock music and food festival over the August Bank Holiday weekend at Laverstoke Park Farm, near Overton in Hampshire. Silverstone Auctions is very proud to be hosting the ‘Pride & Joy’ Auction, which takes place on Saturday 25th August at CarFest. 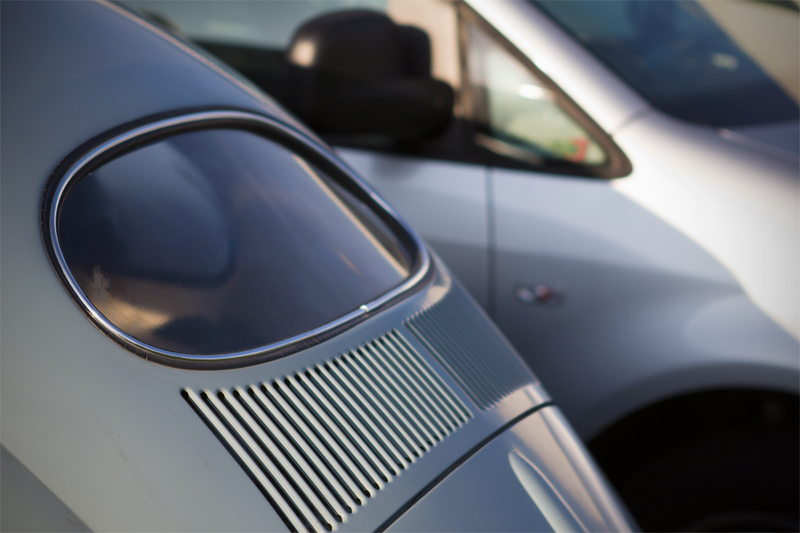 Are you thinking of selling your Pride & Joy? This is your opportunity to get the best price for your car and help Children In Need at the same time! Even if you weren’t lucky enough to get tickets for CarFest, you can still enter your car and drive it through the sale! To help Chris Evans raise as much as possible for his chosen charity, ‘Children in Need’, Malcolm has generously agreed to donate ALL of the sale proceeds from this fantastic camper to the charity. Silverstone Auctions have also cancelled entry fees and sellers commission on this Lot to join in with the spirit of the sale of this vehicle. 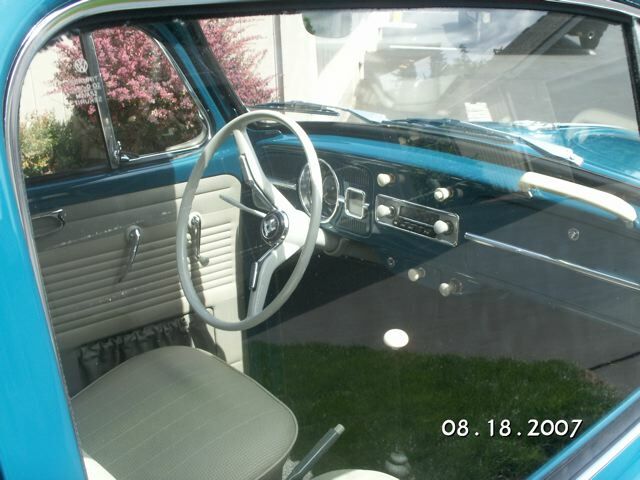 In the forty-seven years since I bought my first new car, a 1965 Volkswagen Sunroof ‘Deluxe’ Sedan, he’s evolved as I have, and has adapted to each of my lifetimes. I’ve always called him ‘Victor’. 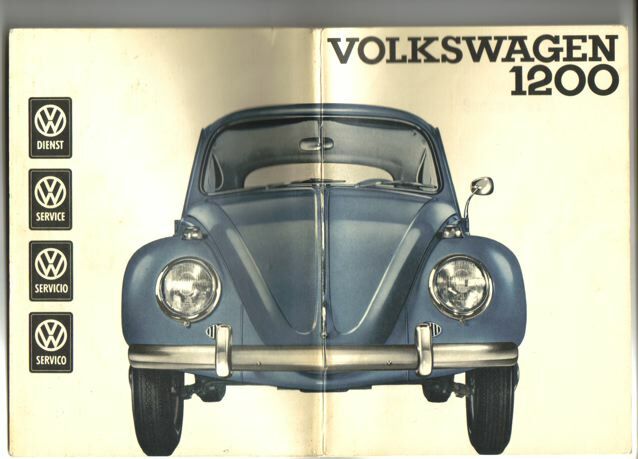 Victor Volkswagen. From a 60-mile-per-day commuter car on the Los Angeles Freeways in his, and my, youth, to grocery wagon and errand-runner in Seattle during my early married/new mom years, to second, third, sometimes fourth car after a move to Portland, and now living in luxury in a heated/alarmed garage and only taken out on sunny days to show his stuff in a local car show, venerable Victor Volkswagen has never let me down. 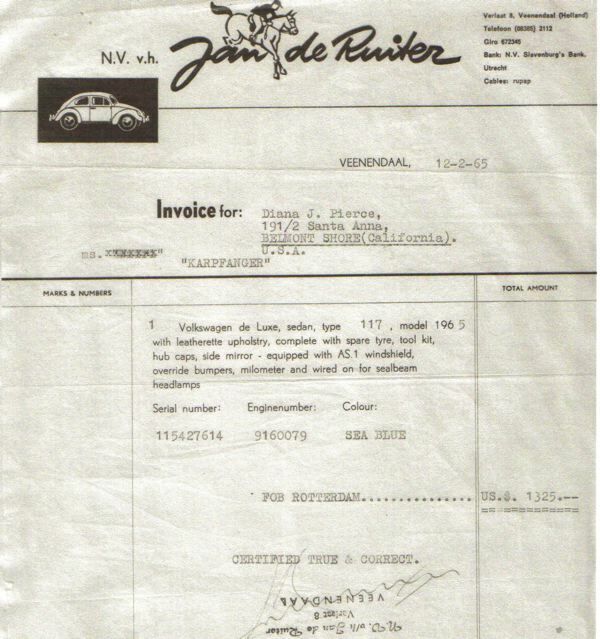 Who needed a mini-van 47 years ago? He schlepped my kids during their early months in hand-me-down car seats; later he hauled them and their friends to after-school activities and his clutch and transmission survived despite their first driving lessons as teenagers. 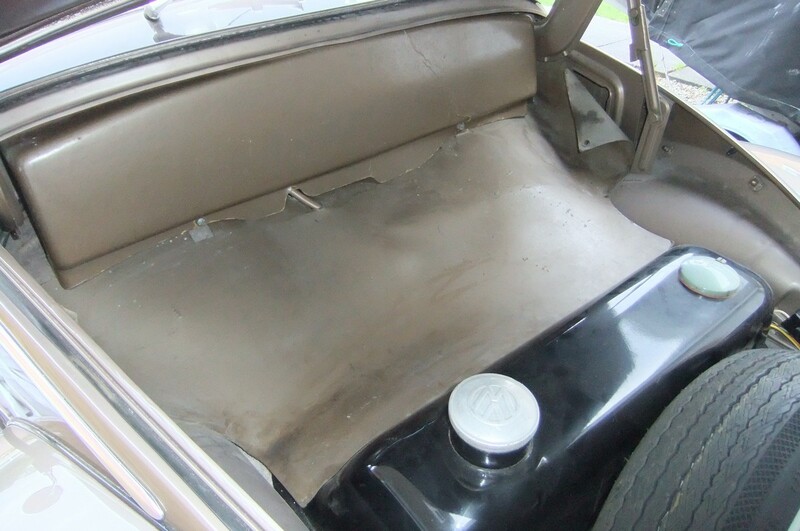 His rear bench seat has supported countless bags of groceries, shopping bags and 30 pound bags of bark dust. He’s hauled friends and friends of friends and their stuff, found room to hold accessories and parts for the Harley, the Bentley, and other vehicles I’ve owned. In a raging snowstorm, with sunroof fully open, he proudly carried an eight-foot Christmas tree home. Victor has hauled countless other items I’ve acquired and transported during the twists and turns of my personal roadmap. From single girl living in sunny California, to married woman living in the Pacific Northwest, to single again, he’s an old and trusted friend. His leakproof metal sunroof has protected me from rain, snow, sandstorms, wind, ice and hailstones. With an occasional quick crank of the grey plastic knob, the warm sun still shines in on my gray head and I’m transported back to Long Beach, California, 25 years old again… His original Blaupunkt AM-FM-Marine band radio still entertains me with clear reception from San Francisco to British Columbia. A divorce necessitated selling my Bentley and Rolls-Royce cars, but Victor was ready to move up in status from the back of the garage as my reserve snow-going car, into ‘first car’ position as my daily driver/commuter transport once again. Now restored and retired, he remains always ready to go out for a drive on a sunny day or be displayed at a local car show. An attractive fellow, he has caught the eye of four car thieves, through the years, but each time I managed to trace, retreive and repair the inevitable damage done each time he was taken. Once the car thieves parted him out and he became part of four other cars, but I was able to find and sort out all of the bits and join them together again. But even before he was restored to spot-on as-new condition, he always started instantly, snicked into gear eagerly and willingly chugged down the road, always ready to go without protest. Not a bad investment for the hard-earned $1,325 listed on the original invoice. And, no, he’s not for sale. The ‘SP’ designation on the license means ‘Special’, issued to cars in the state of Oregon that are over 25 years old and driven less than 2,500 miles/year. It’s a one time fee (very low – I think it’s about $25 now) and never has to be renewed – nice! 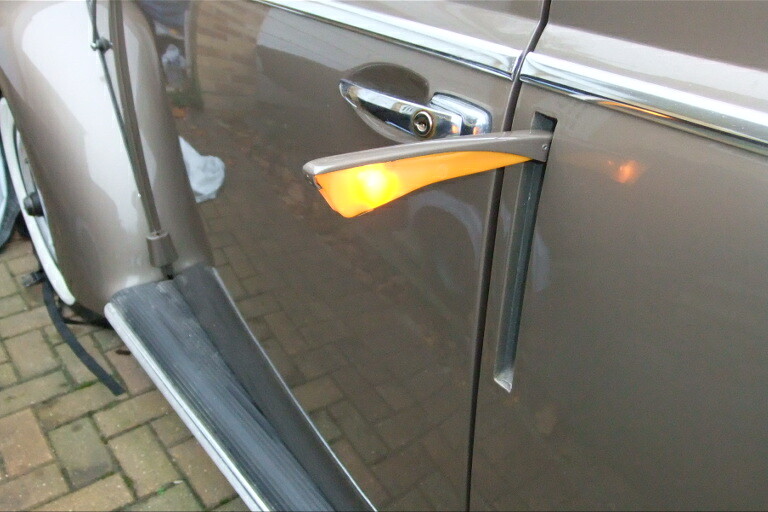 By the way, Victor has ‘European’ tail lenses with the yellow tops. This is because he was purchased directly from a dealer in the Netherlands. 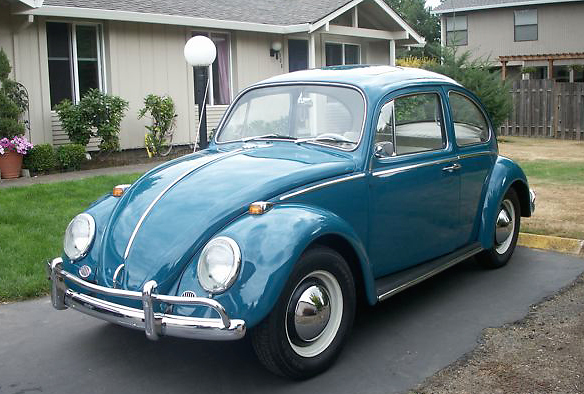 At the time, VW’s built for the U.S. had all red tail lenses to comply with laws. So far it’s not been a problem for me with the highway police. 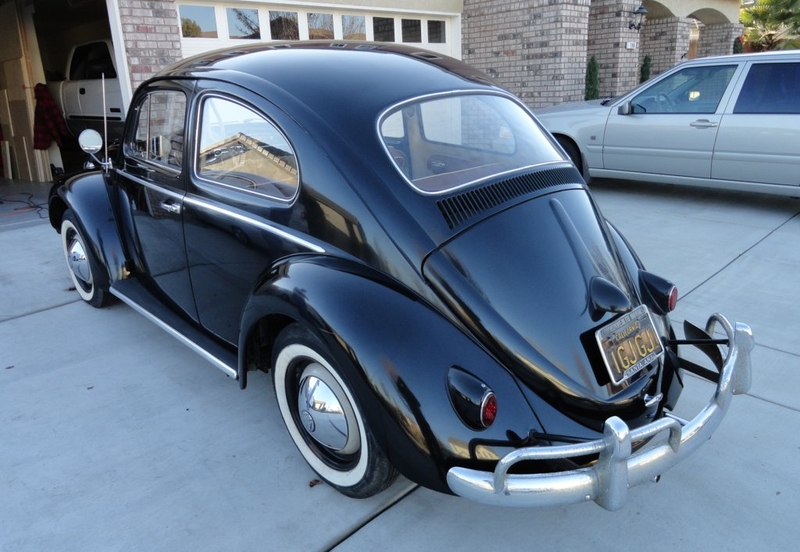 Victor was delivered with fabulous Pirelli tires, with just 1-1/4 inch wide whitewalls. They lasted for 90,000 miles. Can you imagine? He now wears blackwalls because I can’t find whitewall tires to fit that have a more narrow whitewall – ones I’ve found are four inches wide and look garish. Victor still has his original Blaupunkt AM/FM/Marine band radio and it works perfectly. I frequently take Victor to car shows and on front window, I display copies of original documents and photographs of when he arrived in the Los Angeles port. I watched him being lifted off the freighter, the German ‘Karpfanger’ by a crane. The ship was also carrying beef hides from a stop in Argentina. They had some kind of worms in the hides that California didn’t want introduced into their population so all cargo, including my lovely new car I’d been waiting for five months to receive, were put in quarantine for 21 days after being fumigated. Instead of that delicious new car smell, he smelled like insecticide for the first few months. Here he is at a local show a year or two ago after winning the ‘People’s Choice’ ribbon. 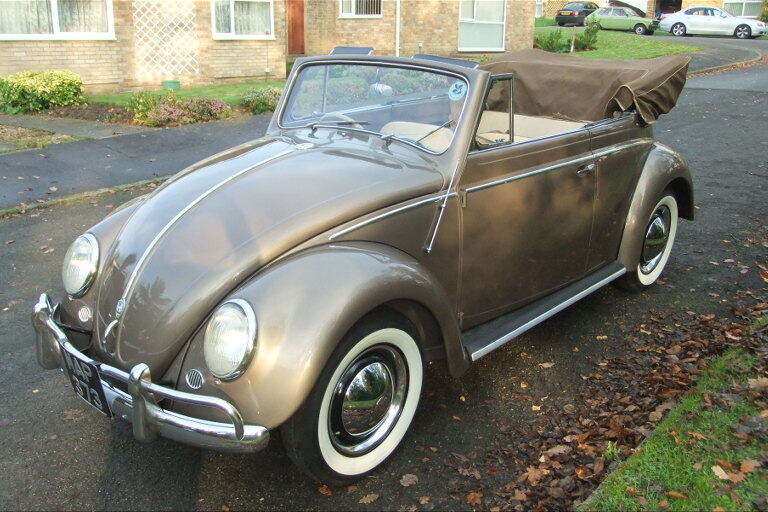 Recently acquired by Richard Oakley, this very original UK supplied ’57 Oval Karmann Cabriolet is one of the few which have survived and is in remarkable condition. 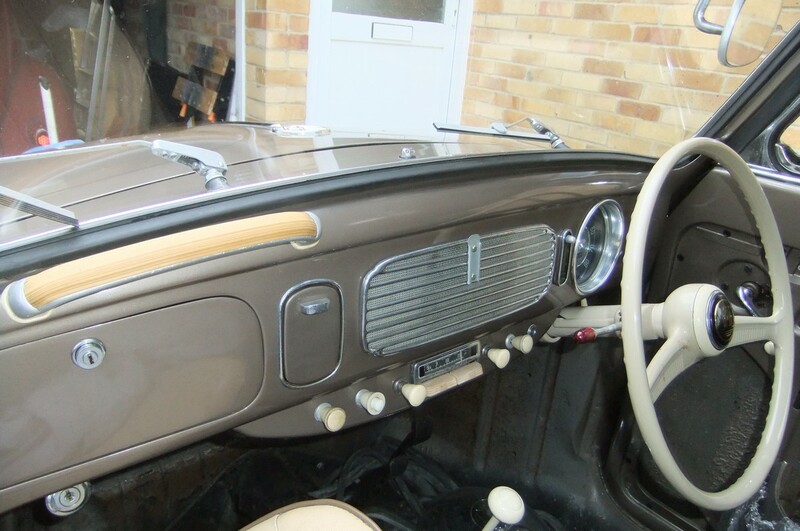 Richard writes “I’ve always fancied a British-supplied RHD Oval Cabrio. Trouble is, there are only 7 or 8 survivors on their original floorpans. 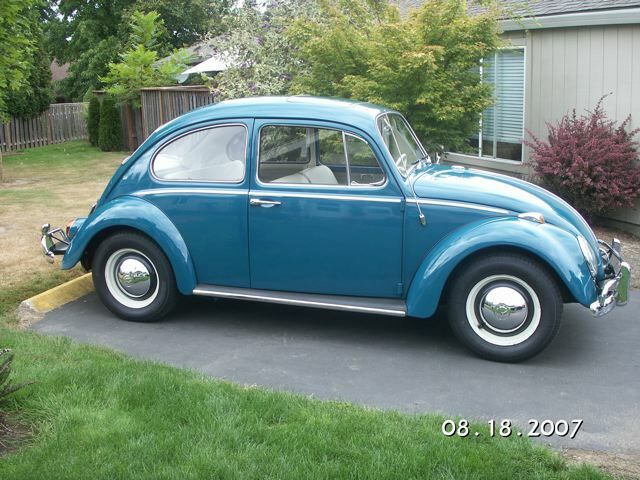 I nearly bought one of them back in 2002 (a ’55 Iris Blue model), but it needed heaps of work. I also contemplated buying the car Martin Fenner owns now, but that needed even more work. Anyhow, my dream came true when I became the forth owner of this Sepia Silver ’57 model. 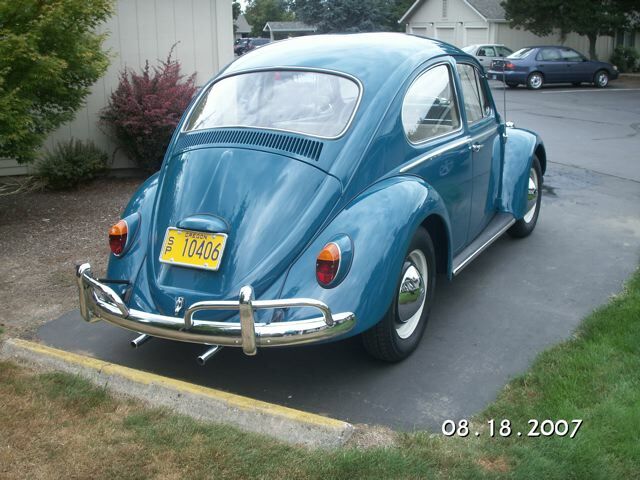 This car has been off the road since 1977 and only has 55,000 miles on the clock. It was originally supplied by VFM Motors in Crowborough, Sussex (it’s a local car, and I love that!). 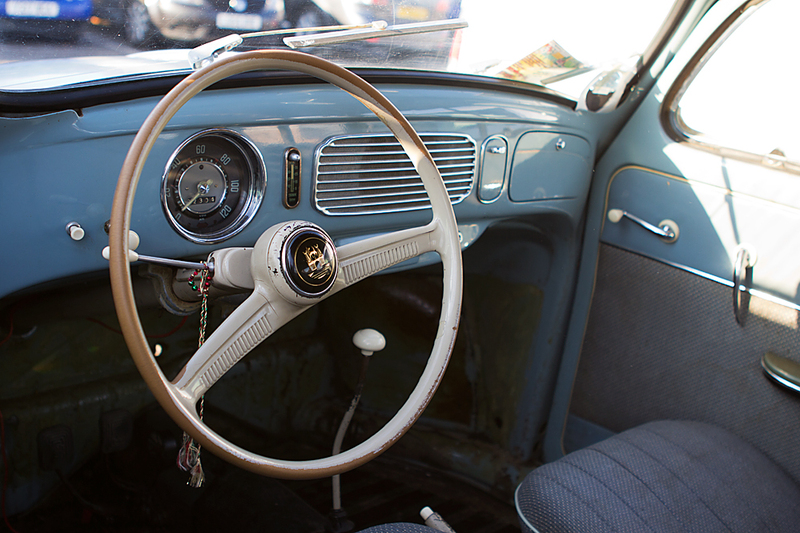 The first owner kept the car for four years and part-exchanged it at a garage in Hove, Sussex. The new lady owner gave up driving in 1977 and the car was laid up until it sold to it’s third owner in 1985. I’m the next owner. Back in the late 1990s a gentleman by the name of Avtar decided that he would like to acquire a nice, original oval window beetle and, after scouring the UK unsuccessfully for a nice one, got in touch with Owen Warlow who worked his usual magic and came up with this low-mileage example which was imported to the UK from Sweden. 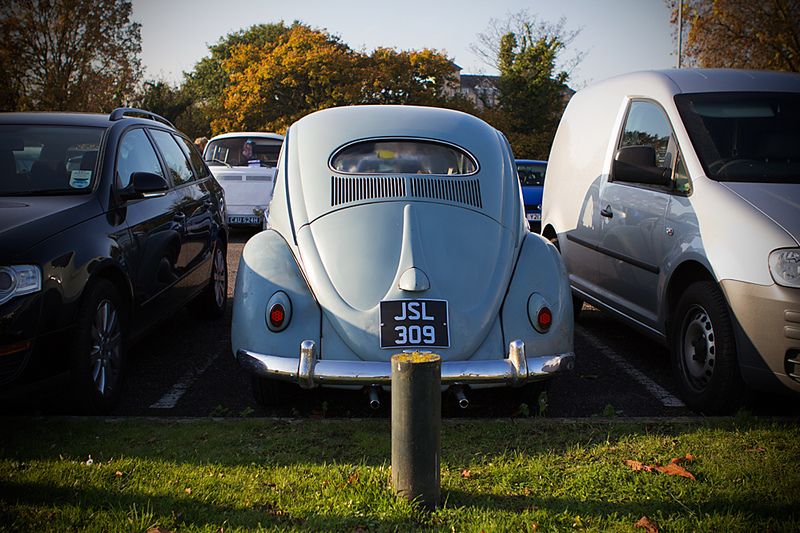 Having bought the beetle in 1999, it remained untouched in Avtar’s garage in Greenford until this year. 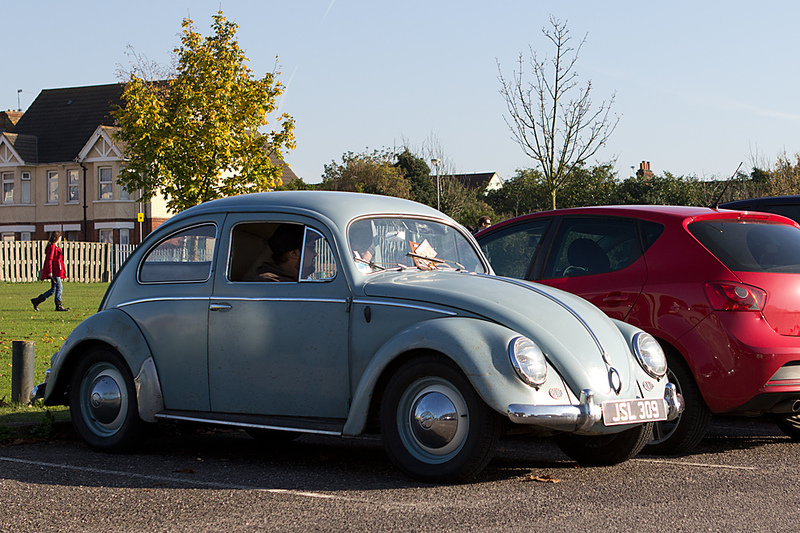 With his children now grown up, It was time to get the beetle on the road. It’s been treated to a set of new shocks, steering coupling and a complete mechanical overhaul along with a small amount of welding around the wing mounting nuts and a few other places. 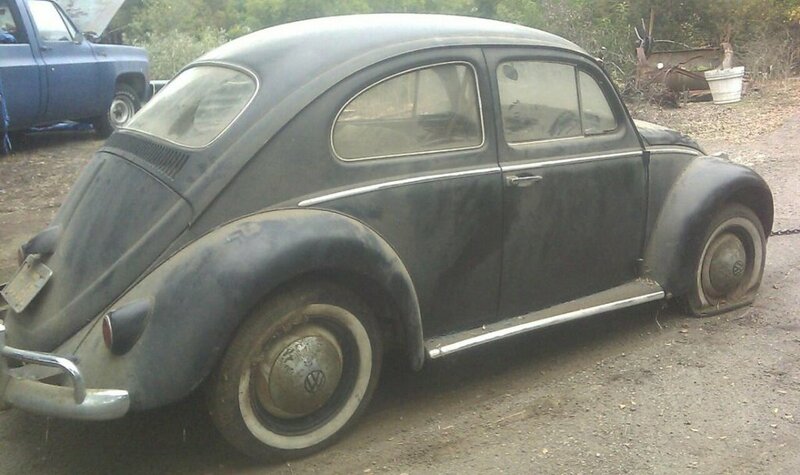 Avtar has the original carpets and rubber mats which will be refitted and will be keeping the beetle as original as possible with perhaps just a respray of the wings as they are starting to show their age. Now that the bugs back on the road, Avtar and his son (now 21) hope to make it along to a few shows next year so hopefully you’ll be able to check out this ’56 survivor for yourselves. 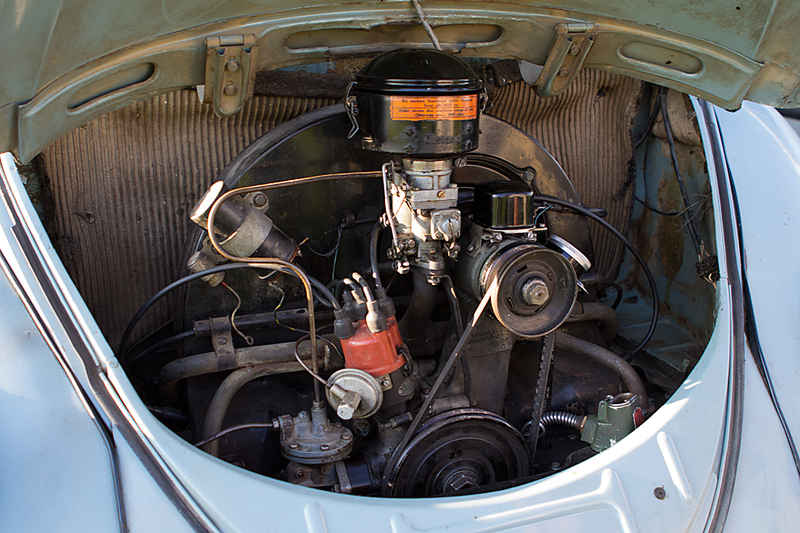 Barclay Stainton of Status VW Parts owns this ’52 Panel Van which is currently undergoing a full restoration.